The owners of the former Manston airport have released the first images of what they want the site to look like in the future. Two concepts for the area have been revealed, each with residential areas, commercial space and parkland. The designs have been drawn up based on the redevelopment of European airports like Flugfield Boblingen in Stuttgart, Tempelhof Airport in Berlin and Ypenburg in the Netherlands. 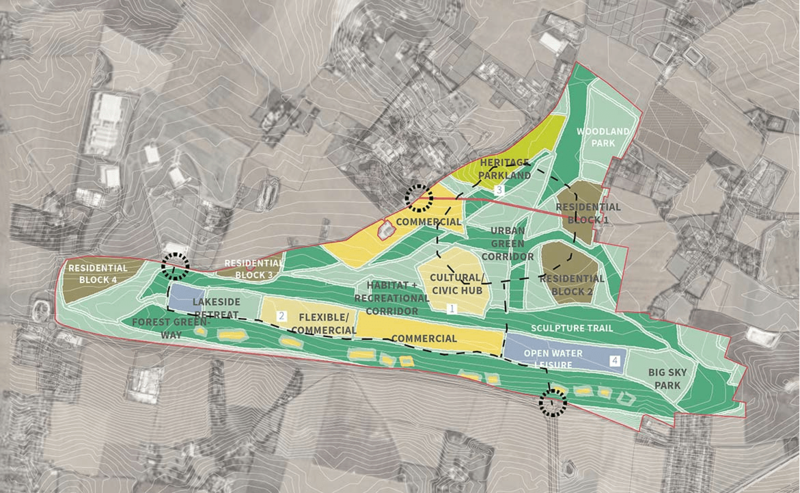 Unveiling plans for the redevelopment, which is set to create 4,000 jobs, will be seen as an attempt by the site’s owners to restate their mission after various political parties have pledged to reopen the runway during the general election campaign. 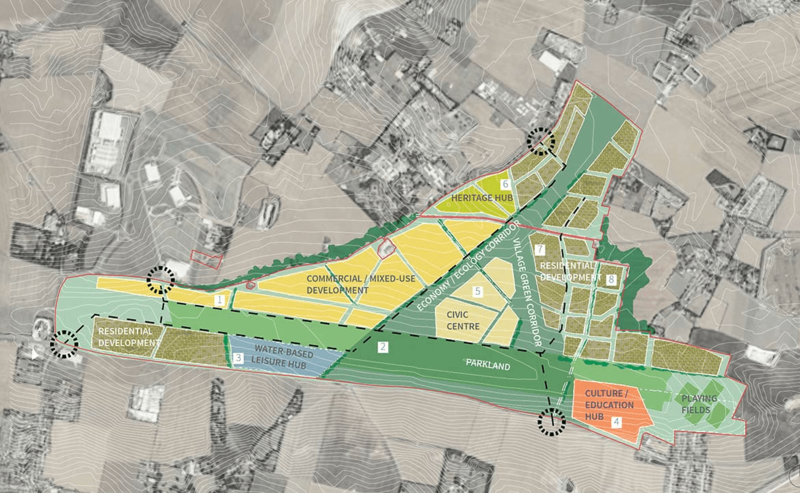 They plan to begin a consultation on their masterplan for the site in June, with the aim of submitting the first planning applications later this year. “We are making good progress in devising exciting plans for the future of Manston. Much work is going on behind the scenes on making sure the various elements are balanced just right. There is still work to be done before we have a completed blue-print but we are on track to complete this initial preparatory work and reveal our outline plans by June this year. For more details of the plans, visit www.sharingthevision.co.uk. Roger Gale – joker or knave? Yippee! I have been urging the owners of Manston airfield to get their plans into the public arena for some time, and now they have! This should shut up those numpties who still want an airport in Thanet when 4 previous air carriers have gone bust there, in 15 years! Whats the point of an airport when no one wants to use it, is it some sort of vanity thing! We live in exciting times, and the sooner the owners put in a Planning Application the better for everyone all round.